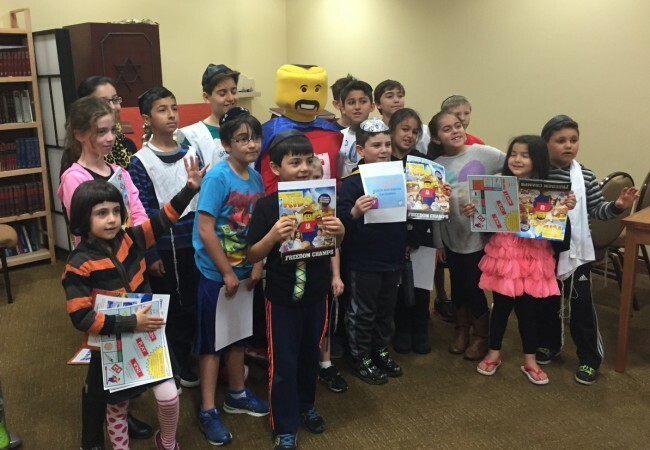 In the wake of tragedy, the children of Chabad Romana join together in the art of goodness and kindness. 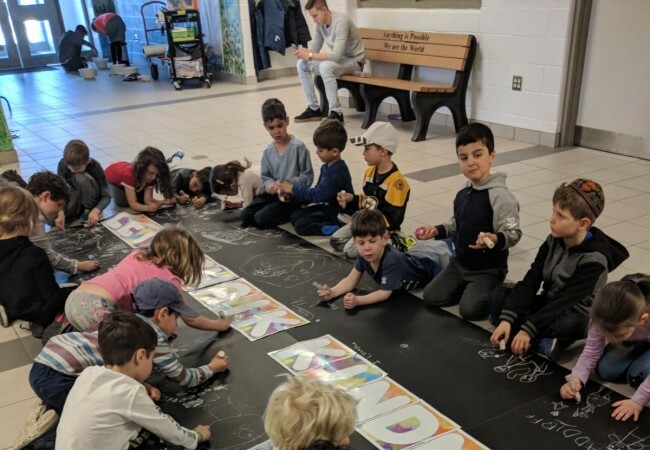 On April 23, ten men and women were killed, and sixteen critically wounded, in a vehicle ramming attack in North York City Centre, Toronto. 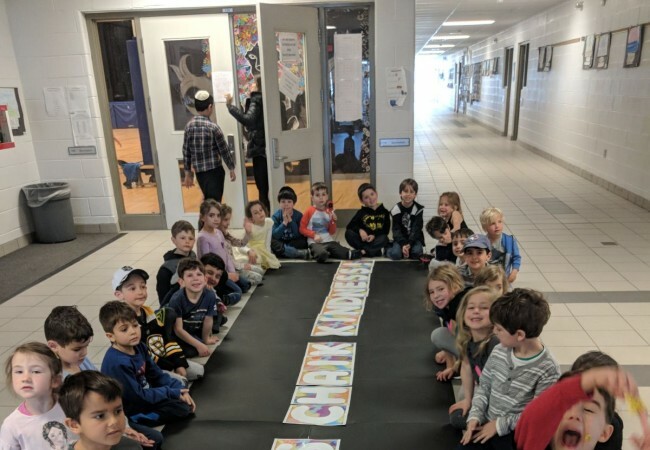 A few days later, 170 children united to respond in a traditional Jewish way: to prove that the world can, and will, become a better place. 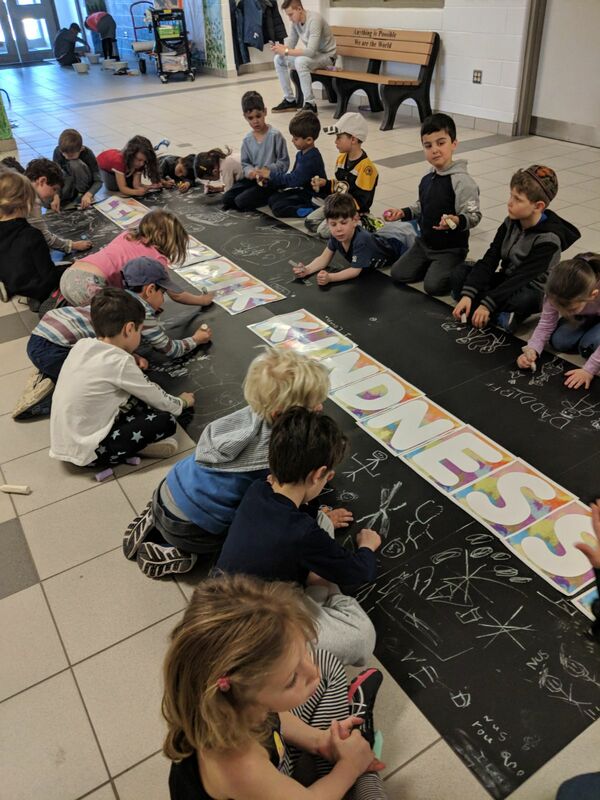 Rabbi Shlome Vorovitch, shliach of Chabad Romana Centre in North Toronto, led a CKids “Let’s Chalk Kindness” event at the local public school. 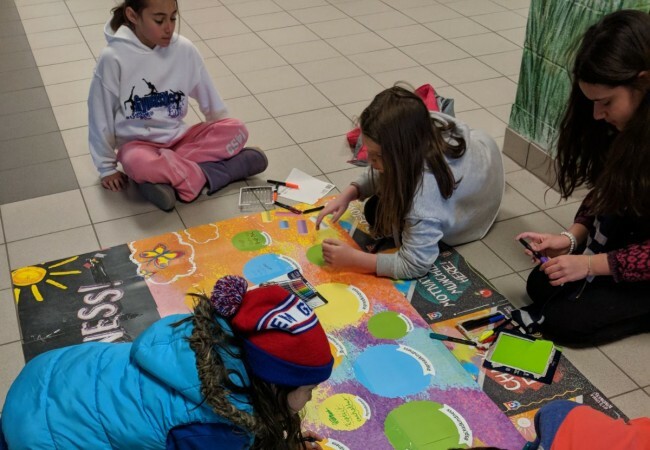 To the motto, “Chalk it Forward,” the children spent several hours illustrating the parking lot with murals depicting small actions that can have big impact and fill our planet with light and color, beauty and happiness. 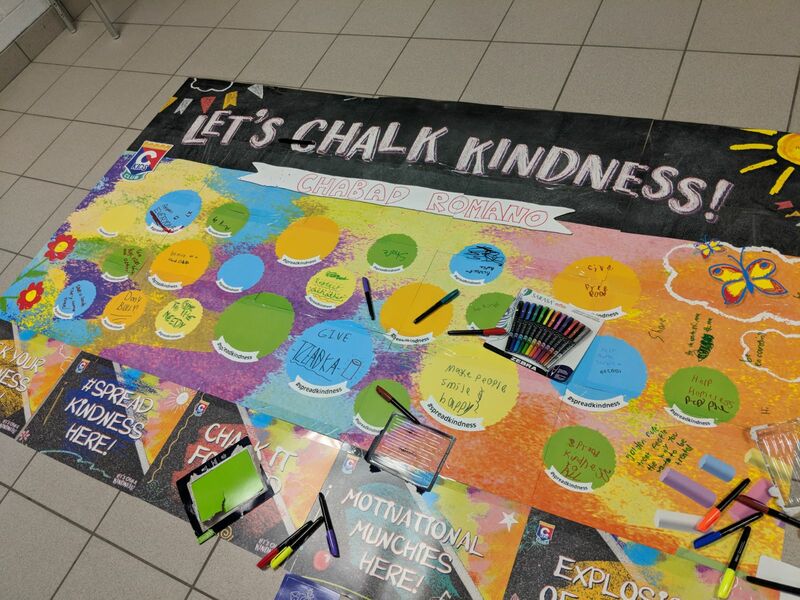 Let’s Chalk Kindness combines creative visual arts with kid-friendly discussion about the things we can do together as a community to build a better world. 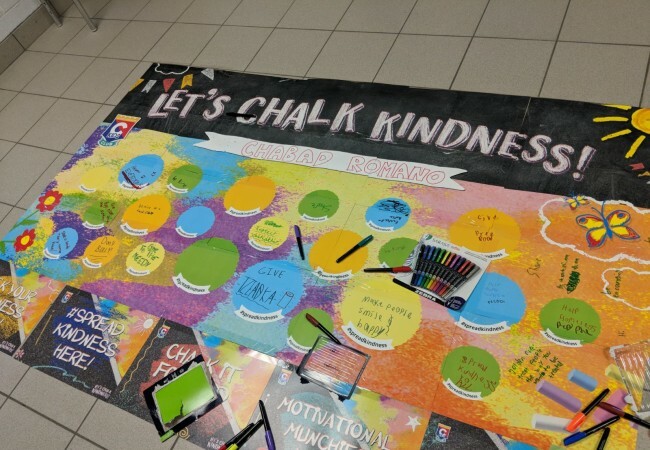 In addition to the street murals, the children also received take-home Chalk It Forward cards for them to decorate and fill with ways they could spreadness. 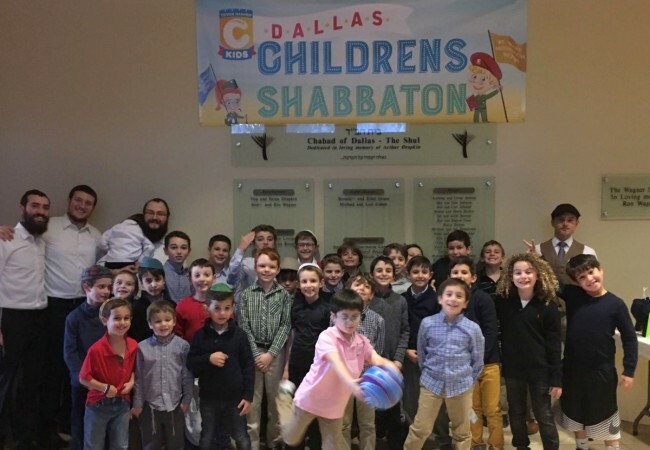 The Rebbe spoke many times about the power of children to bring goodness in the world through their inherent purity and energy—making them one of the greatest forces for change in the world. 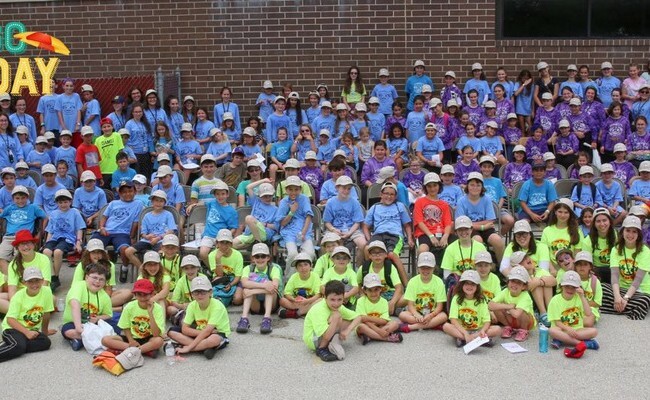 It is therefore essential to provide them with opportunities to experience and grow their impact while still young. 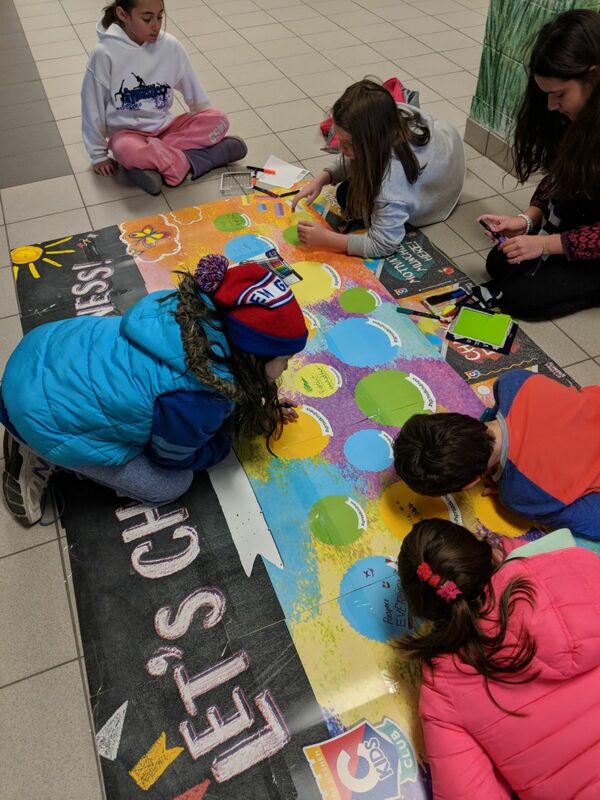 This event, which has been launched in Hebrew Schools and Chabad Houses throughout the world, has been an exciting way to bring these young minds and hearts together to discover what they can do right now, as individuals and as a community, to bring light into the lives around them. 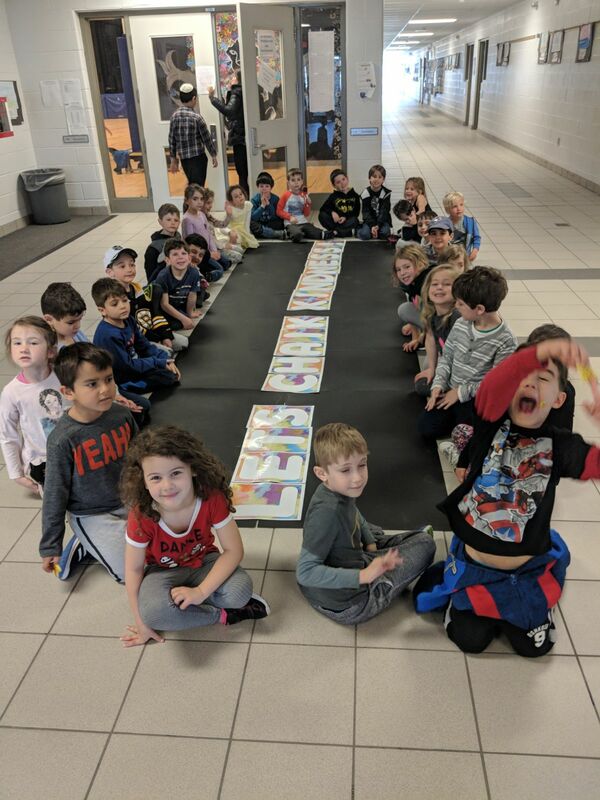 CKids is a project of Merkos 302.